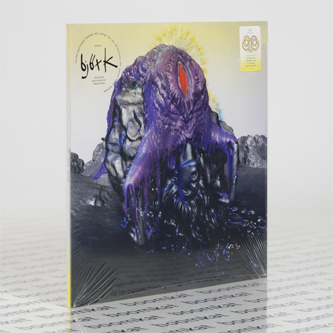 **Limited Neon yellow vinyl edition** Björk comes to terms with the breakdown of a longterm relationship with some help from Arca, The Haxan Cloak, Antony and Spaces. It's arguably her most coherent and focused album since 'Vespertine' (2001), her vocals incredibly raw and emotional - understandably in the light of tragic, personal events - yet controlled with near operatic poise and matched by the waking-dream-like qualities of the production's skewed meter and tendencies toward keening, lushly expressive discord. It must be said that Arca really comes into his own here, expanding upon certain rhythmic ideas found in 'Xen' and simultaneously exploring whole new realms of blooming orchestral arrangement rent in HD clarity.